The Journal of the American Medical Association published an article titled, “The Columbo Phenomenon” (Frolkis, 2013). The author thrusts the reader back in time to highlight Peter Falk, the actor who starred as Columbo in the popular detective television film beginning in 1968. 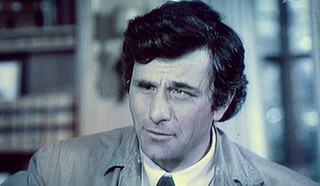 Columbo was famous for ending each episode with, “Just one more thing…” indicating to the perpetrator and the audience that the game was over. Recall the idea of improving the waiting room to enhance the patient’s perspective in Part I. The Colombo phenomenon illustrates another argument for investing energy into the patient’s experience in a primary care office. Such efforts may increase patient comfort and the likelihood of patient disclosure of important information to the health provider. How are schools of health professions evolving to prepare our nation’s future health care providers, educators and researchers with the skills and confidence to address the needs of LGBT patients and communities? How is such a curriculum evaluated for effectiveness? Where do we begin measuring these changes to determine with confidence that a health care practice’s approach to LGBT care is “sound”? How do schools reinforce the essentials of culturally competent health care practices as it applies to rapidly changing health care policies? The existing body of research will become increasingly rich in the future as we further cultivate these questions, acquire answers and take action. It is the expectation that our questions will mature to become increasingly significant with time. Leaders of advocacy and change within the health care community continue to revolutionize the standards of practice necessary for relevant care of LGBT patients. Having conversations with patients, learning from personal experiences as the patient, exercising genuine interest, having the willingness to learn, and asking questions as health professionals must be our main priority. Most importantly, the information deserving of our closest attention is the perspective of the LGBT community. It is critical that we acquire testimonies both real and hypothetical from patients. LGBT patients must share what makes them feel comfortable and provide feedback to health providers. This type of interaction can breed increased collaboration and cooperation between patient and provider in a time-sensitive environment. Frolkis, J. P. ed. (2013). The Columbo Phenomenon. The Journal of the American Medical Association, 1-1. Makadon, H.J., Mayer, K.H., Potter, J., & Goldhammer, H., eds. Fenway Guide to Lesbian, Gay, Bisexual, and Transgender Health (p. XV). Philadelphia, PA: American College of Physicians; 2007. Nicole Lighthouse is a Marriage and Family Therapist with a research background in preventive medicine and mental health. She is a graduate student in Biomedical Sciences at the Kirksville College of Osteopathic Medicine at A.T. Still University. Her career interests include family medicine and research in community and preventive medicine. The opinions and views expressed in this blog and/or comments are those of the author(s) and do not reflect any position of the Center or the University.